You said you wanted something more. Something tough, but classic. Something unapologetically masculine, but simple. Something powerful. 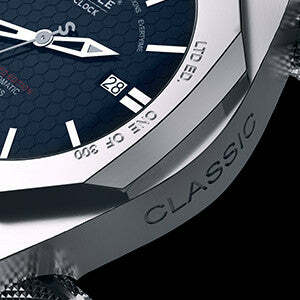 We have engineered the Classic collection for you. We combined class and masculinity in one design. 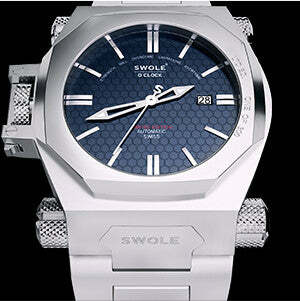 We created the ultimate masculine dress watch. 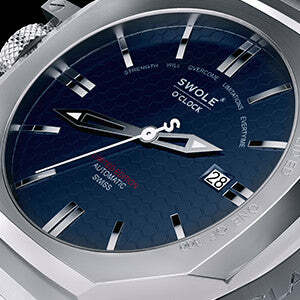 Introducing Nicholson - our first automatic watch, with a silver case and a dark blue dial. We decided to balance a large but practical case and combine it with our iconic lugs to create a watch that will satisfy class and masculinity in one design. 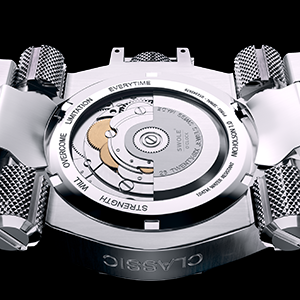 Made with solid stainless steel, Swiss movement, 46mm wide and 9mm thick case, and sapphire crystal with anti-reflective coating on both sides. Our custom cut lugs feature identical signature engravings, highlighting strong character with distinctive elegance. We’ve calibrated a timepiece as precise as it is classic, powered by Automatic Swiss Movement. 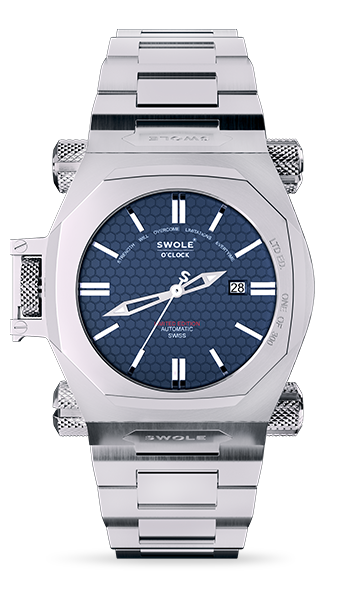 A octagonal solid stainless steel bezel, with beehive patterned dial combines classical attention to detail with contemporary lines. 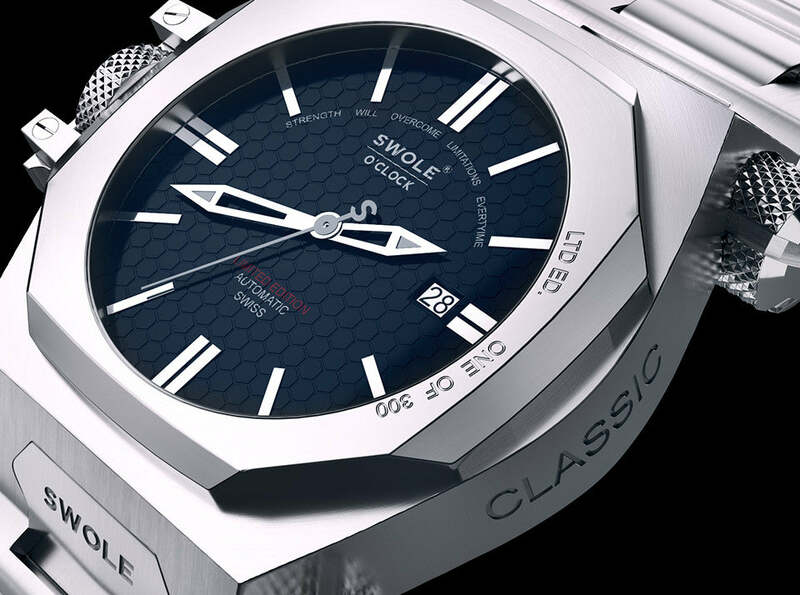 A flawless solid stainless steel case is accented with exquisite CLASSIC engraving detailing craftsmanship and specifications. 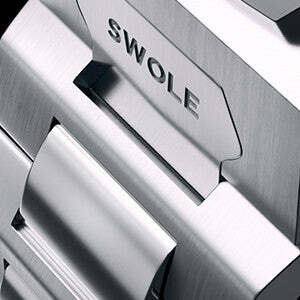 Each and every solid stainless steel crown is secured by our iconic latch with signature logo engraving. Brushed steel links surrounding a mirror polished centre link that wraps around your wrist as the perfect fit. Toughest class you'll ever see - Dress watch for real men. Many of our customers suggested that we move the crown to the left, as the right crown in their Swole O'clock watches digs sometimes into their wrist. 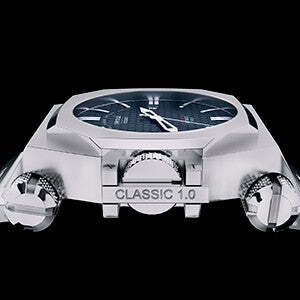 We've listened and decided to go for it, thus joining other watch brands whose big watches feature a left crown. Same strong watch, now pain-free. 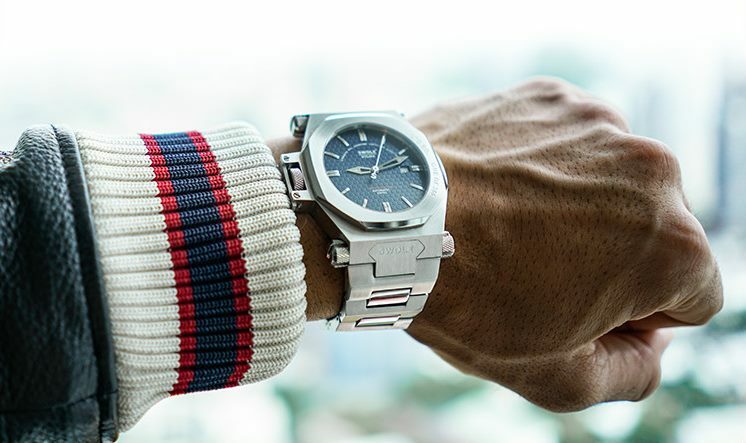 Our Classic watches offer improved wrist comfort and maneuverability to make sure you can safely wear them for any outdoor activity, as extreme and demanding as it might be.